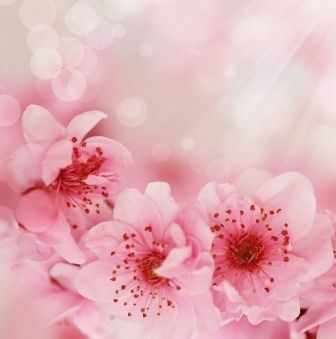 Delicate pink blossoms hanging like sugar coated candy – that is the cherry blossom – uplifting, sweet and innocent. This was the first plant I was keenly aware of working with me. Many are aware of their animal totems and spirit guides, but what about plant allies? Not as much is known about them it seems. But one day, the cheery cherry blossom burst into my life. It was a short time after my cat had died. And he was a special cat who helped me learn energy healing, so his loss hit me hard. Around the time before and after his death, there was this magic in the air that some understand as the thinning veil. That is when one sychronicity after the next happened with cherry blossoms. First to appear was a faux cherry blossom tree in a nail salon’s window not far from my work. It had never been noticed. 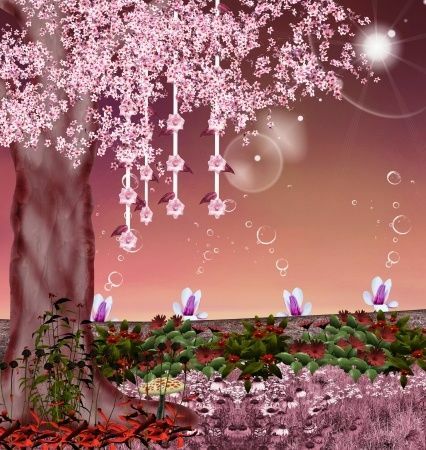 But on this day, its beautiful pink blossoms shimmered like rose quartz gemstones and the feeling of the tree came over me – it was light and uplifting. There was a feeling of relief. Next there were cherry blossoms on the front of a calendar in a bookstore. Then the faux cherry blossom trees at Michael’s (craft store) let me know they would not go unnoticed. Next a relative gave me cherry blossom lotion as a gift and I nearly fell out of my chair at dinner. Finally to take the cake, there was a mug with cherry blossoms and a himalayan cat who looked like mine, seemingly in heaven, right there online. The humor of it all was just too much. With this final sign, the message was to lighten up about his death and lift my grief. The cherry blossoms did just that. He was in kitty heaven after all, having a ball. I guess it was time for me to have a ball too. Cherry blossoms’ energy brings the feel of being light as air, fun like soda pop, and you can tickle yourself pink. The cherry blossom is a wonderful energy to tune into to feel uplifted. I feel an effervescence about it that levitates emotions. Cherry blossom bubbles bring cherry blossom giggles and giddiness. It feels high energy, quite angelic, yet it is an angel who wants to have fun! It can refine your heart energy, bringing in higher love. It can work with the third eye to see things with love, even things most people cannot fathom to love. In other words, it helps bring love to those things most cannot love, but those things need it the most. It can bring back joy and innocence – an innocence that humanity has lost. Although it is a delicate energy, it gently commands respect. It is fun and youthful too. And did I mention sweet? It is one of the sweetest around.